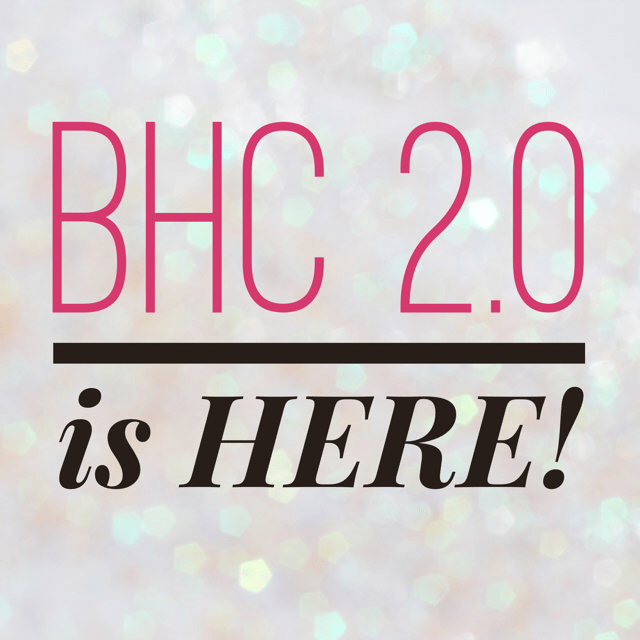 Health Coach » BHC 2.0 — The Revamp is Here! BHC 2.0 — The Revamp is Here! What’s been happening behind the scenes at Health Coach Institute? This…!!! Become a Health Coach aka BHC is not just our signature Health Coaching program, it’s our baby and we’re proud to announce that our incredible Learning Team has been hard at work behind the scenes revamping, remaking, up-leveling, re-creating BHC—now ready to rock your coaching world in a whole new way. BHC 2.0 is a labor of love and reflects our commitment to provide our students with the very best Health Coach education out there! We’re all adults here and we know how it is with our monkey minds—our distractible, multi-tasking, busy-bee adult brains crave bite-size content in this overwhelming Information Age. So, we’ve made it super easy for you to digest all this awesome content in small chunks. Think of the BHC content like you’re trying and tasting hundreds of…bite-sized…appetizers at a fancy gala banquet! Yum! Not everyone can concentrate best while listening without seeing who’s talking. Many of us are coming out of the closet as visual learners. If you’re someone who needs to “see” the person you’re listening to talk, in order to better understand what they’re teaching, then you’ll love that your sassy mentors, Stacey & Carey, are now on video, which means you’ll get to “SEE” them…um…like as often as you want! How cool is that?! What this means is that you’re not just watching a slide show or listening to an audio anymore. Hell no! You’ll be wide awake even without your fifth cup of pick-me-up green tea ‘cos you’ll be pushing buttons on your screen, answering quiz questions, and interacting with the course content like never before—all thanks to our highly engaging, highly interactive online tools that’ll make your learning so much more fun! Too much theory and not enough practice makes a dull coach! This could not be more true, which is exactly why we believe that to be a top coach, you’ve gotta watch top coaches coach! Simple as that. There is an art to this coaching thing and the more you can watch masterful real-life coaches do their thang, the better coach you will be. Plus, you’ll be witnessing the power of transformation through coaching firsthand so you too can rock it! A lazy student become a lazy coach and a lazy coach won’t attract clients or make money let alone be serving her gifts to the world. So, this time round we’ve added quiz features before and after lessons so you can track what you’re learning in real-time to ensure you’re retaining all the juicy deets. This feature will have you geeking out on being a quiz wiz in no time! We may be all about the coaching world but we’re not ostriches—we don’t have our heads buried in the sand. We’re proud to be pioneering a new generation of Health Coaches and we want BHC to measure up to this new world order so we’ve included an entirely new week of content in our Pillar 1—Nutrition for Health Coaches—to cover the whole foods slow food movement rising up against the SAD— Standard American Diet— and why conscious eating is more important now than ever. BHC 2.0 makes our students’ learning experience better than ever with material that’s easier to understand and remember, fits the many ways our adult students learn, and helps them feel confident that they’ll be able to use their training in real-life coaching situations. Watch our Introducing Become a Health Coach 2.0 video HERE! Ready to turn your passion for health and helping others into a rewarding and lucrative career in just 6 months? Enrollment for our July BHC class is open now and early bird enrollees save $1500 off tuition! Jump in July With BHC Grad Susan's Fresh-Fruit-Seed-Nut-Cereal Recipe!